We provide transitional care for individuals with mental illness or developmental disabilities moving from a more restrictive setting (such as a state institutional care) to a facility with more freedom. For many, this can be a dramatic change. Our more structured setting can make it easier to adapt. We provide long-term care for individuals with mental illness or developmental disabilities who have been unsuccessful in smaller, less structured settings. We get to know their interests and passions and work together to identify the services that will be support them in life and keep them safe. 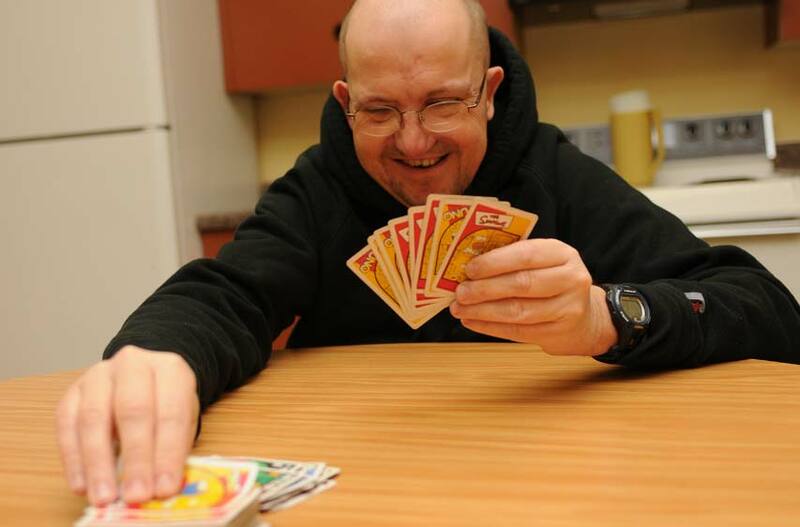 We empower individuals with mental illness or intellectual disability to live successfully and to their fullest potential by providing high quality, innovative services, with a person centered approach. Woodland Care is committed to providing a safe, healthy, and structured living environment that is as home-like as possible for people with chronic mental illnesses and developmental disabilities. It is our goal to promote stabilization and independence through goal-oriented coaching and education. We believe that people thrive the most when services are developed with them as an active participant. We value taking into account each person’s unique strengths and abilities and provide services based on their specific outcomes and needs. We are a Community Based Residential Facility (CBRF) Licensed Ambulatory Class C (CA). A full and active life is a healthy life.